On the first page there is an article taken from CBBCnews followed by two comprehension exercises (True/False statements and Find Synonyms in the text) and an exercise on passive voice. 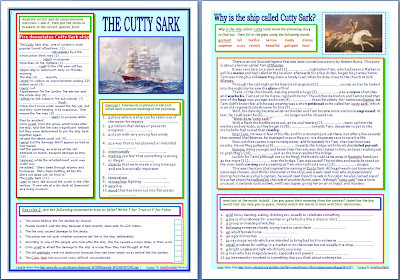 On the second page there is the story that inspired the naming of the Cutty Sark. 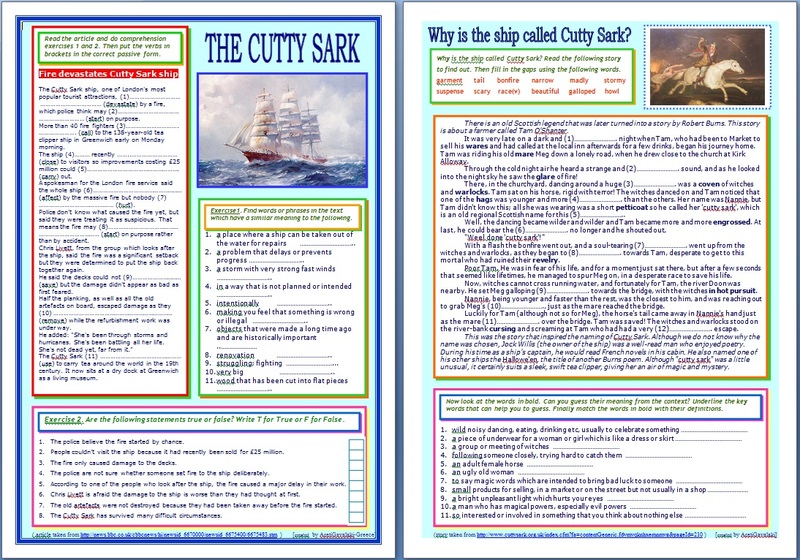 It is followed by two vocabulary exercises (students practise guessing meaning from context).